Situations and best practices for encoding "Title"
Title is one of the most important and relevant access points for any resource. The information is usually supplied through a number of properties including title and alternative title -- (handling subtitle(s), parallel title(s), translated title(s), transliterated title(s)). 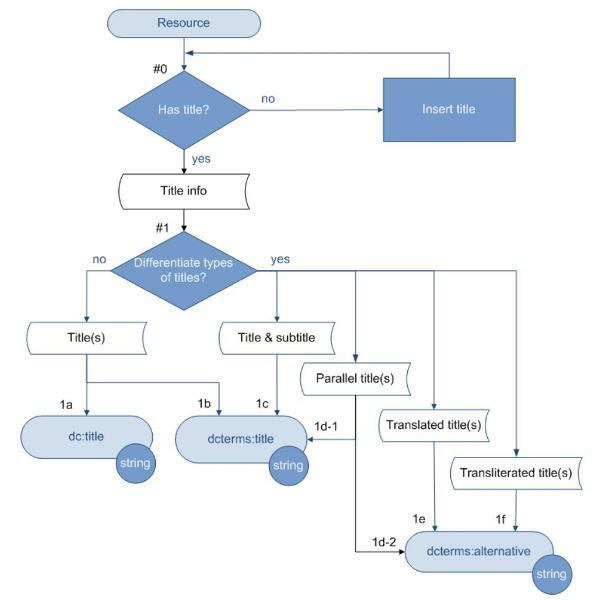 Title information is essential in the description of a resource; therefore the flowchart below foresees title as a mandatory metadata property. Relation with a resource being described: Resource has title. 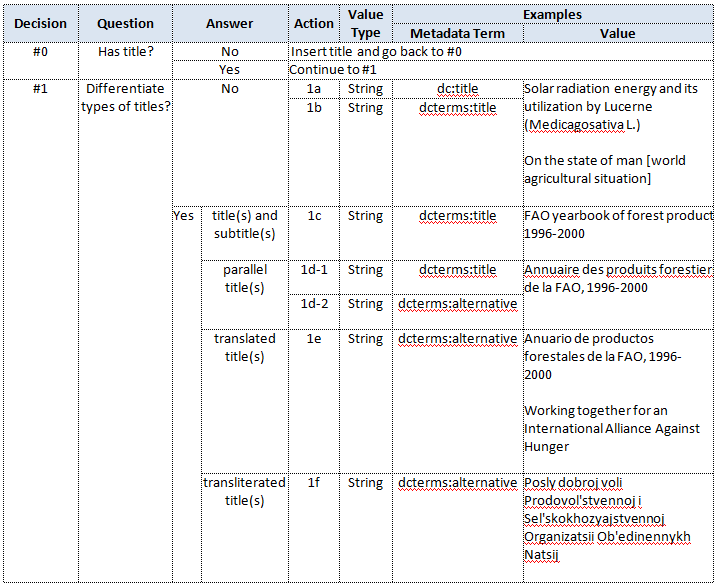 Values for this property are always text strings. Although not emphasized in this report for the authority control of the titles of bibliographic resources given the context of this report, it is a logical step that resource titles, especially uniform titles, are also controlled.